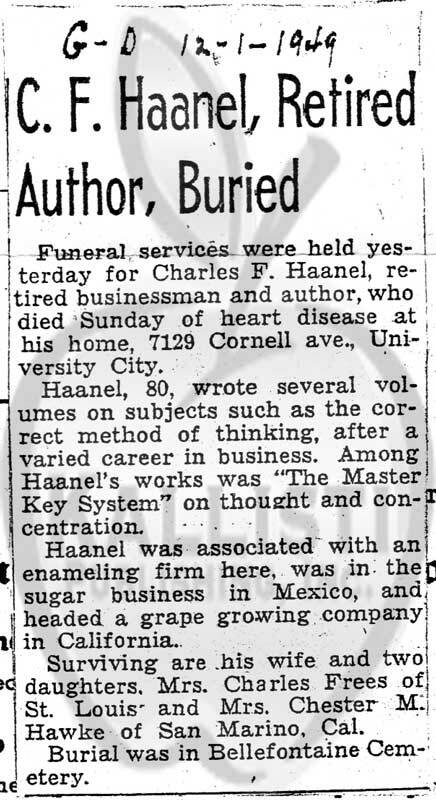 Charles F. Haanel (May 22, 1866 – November 27, 1949) was an American New Thought writer, who is best known for his book The Master Key System, which is a guide to mental and spiritual development, individual health and financial success. 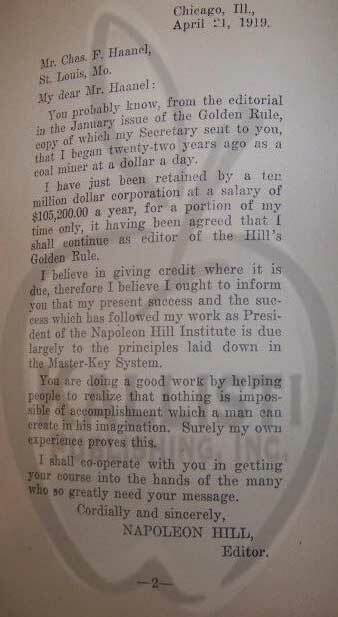 By 1933, The Master Key System had sold over 200,000 copies worldwide. 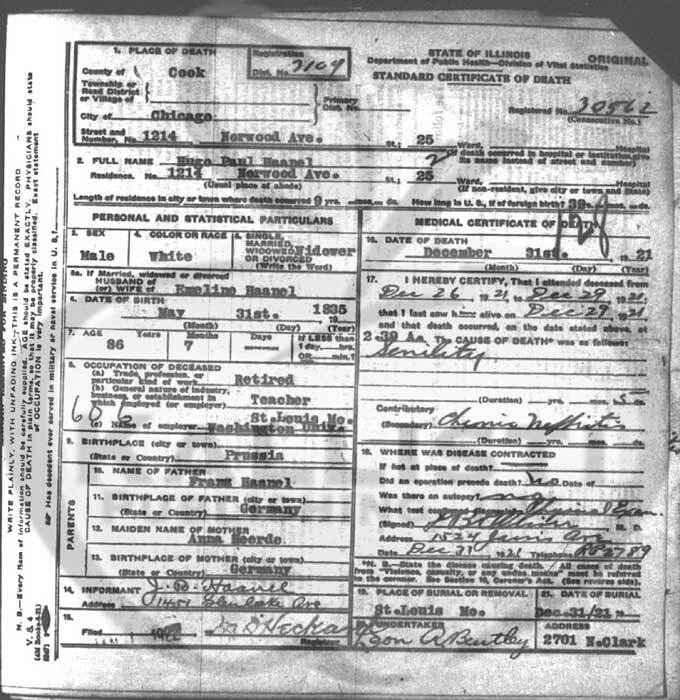 Haanel practiced the financial principles himself and was a self-made success who owned several large companies. Among the main points of Haanel’s system are what he calls the laws of concentration, attraction, harmonious thinking and action. A set of exercises accompanies each chapter, which systematically build upon each other. The Master Key System has enjoyed renewed interest after being cited as one of the inspirations for Rhonda Byrne’s film The Secret. For more about The Master Key Sytem see this comprehensive review.